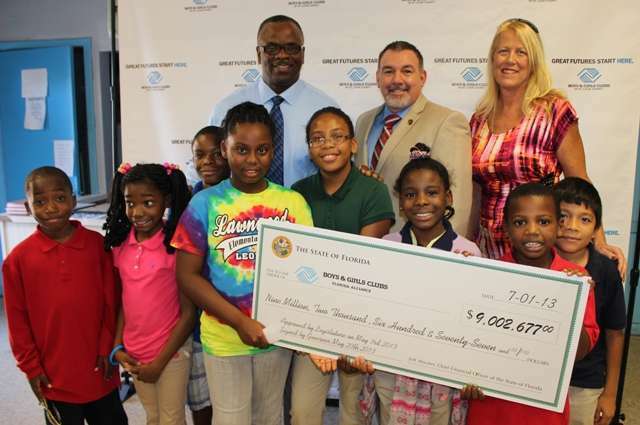 A big announcement was made recently by Governor Rick Scott that he had approved $9 million in the state budget for the Boys & Girls Clubs throughout Florida. But long before Governor Scott had the opportunity to approve the budget, Representative Larry Lee was working the legislative process to help get the much needed funding for the Florida Alliance of Boys & Girls Club. Lowe’s Heroes employee volunteers and Boys & Girls Clubs of St. Lucie County Chuck Hill Unit teen volunteers and parents provided hands-on help with an improvement project as part of a $41,375 grant to the Club on November 16th.